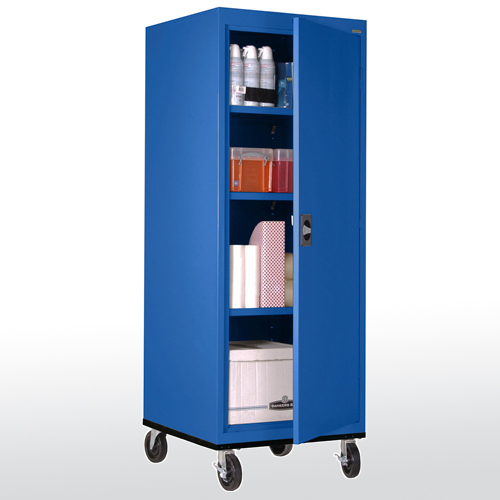 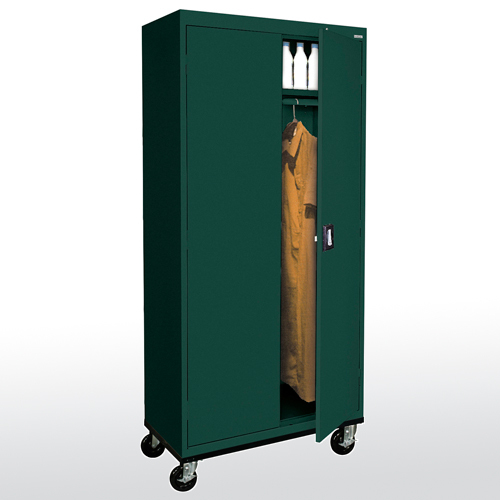 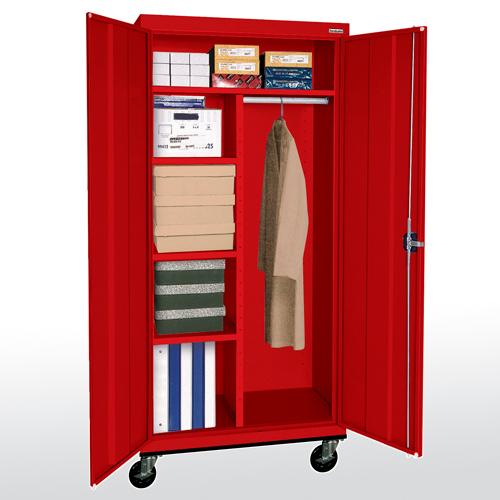 Mobile Storage heavy duty all welded 22/20 gauge steel construction. 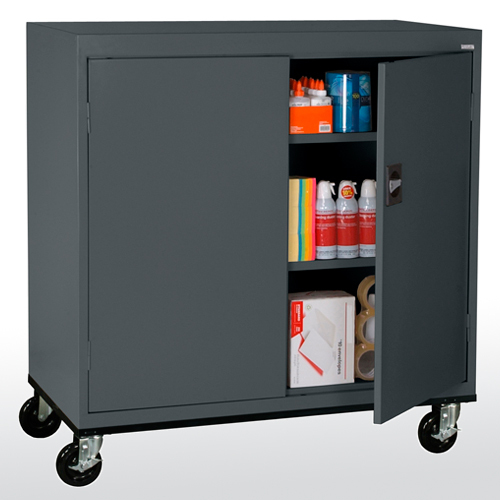 Includes heavy duty caster base. 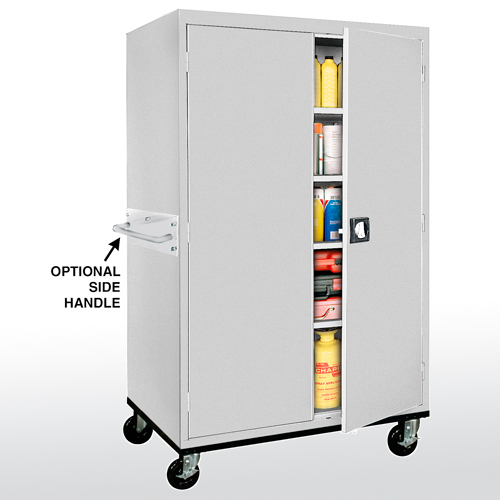 Fully adjustable 200-230 lb capacity shelves.